Atsushi Yamada is the Artistic Director of New York Asian Symphony Orchestra here in New York, for whom he also serves as Principal Conductor. Born in Japan, he is a graduate of Waseda University, where he studied conducting with Yoichiro Fukunaga, Music director of the Fujisawa Civic Opera and Orchestra. In New York, he studied with George Manahan, Music Director of the New York City Opera. For the past decade, Mr. Yamada has enjoyed an ongoing association with New York City Opera. From 1998 through 2003, he served as the Personal Assistant to the Music Director, George Manahan. He has since returned to the company to conduct performances of Hansel and Gretel and Madama Butterfly. He is the first Japanese conductor in the history of the company and only the second Japanese conductor at Lincoln Center (after Seiji Ozawa). He also conducted performances the New York City Opera National Company of Rossini’s Il Barbiere di Siviglia for its national tour. He was also responsible for arranging the company’s tour to Japan and he led performances of Madama Butterfly for them in Tokyo and Nagoya. Later this spring, he will return to conduct performances of Madama Butterfly. With Asian Artists and Concerts, he has led exciting concerts this season in Alice Tully Hall, the Rose Concert Hall at Jazz at Lincoln Center, and at the General Assembly of the United Nations in repertoire that includes Mahler’s Symphony No. 1, Berlioz’ Symphony Fantastique, Dvorak’s Symphony No. 9, and Shostakovich’s Symphony No. 5. Mr. Yamada began his conducting career in 1992 with the Tokyo Academia Symphony (TAS) and the Chorus Philharmonia Association (CPA). His activities with TAS and CPA were worthy of special attention, producing all of their public performances, in addition to his excellent performance as conductor. Especially noteworthy is their series of charity concerts held since 1995 to support the survivors of the Great Hanshin Earthquake. The media highly evaluated this series, which gave both emotional and financial support to the survivors. As part of this series, in 1996, Yamada performed with Lena Maria Kllingval, a Swedish gospel singer, and conducted Mahler’s Symphony No. 2 both in Tokyo and Kobe, the hardest-hit area of the earthquake. This program was televised by Asahi Broadcasting. In 1995, Mr. Yamada was invited by the Consul-General of Japan in Honolulu to perform at the U.S.-Japan Goodwill Concert of Prayer for Peace to commemorate the 50th anniversary of the end of World War II. There, he conducted the Requiem by Giuseppi Verdi for the Honolulu Symphony Orchestra and the Oahu Choral Society becoming Chief Guest Conductor with the orchestra for the season. In 1997, Mr.Yamada conducted La Traviata in a special performance to celebrate the fifth anniversary of TAS and CPA. This extraordinary performance assembled the leading singers from the New York City Opera, stage settings and the costunes from the Teatro Comunale, Bologna and Japan’s leading young singers. This performance was broadcast by TV Tokyo, “La Traviata for the Citizens – The dream has come true,” adding to the high applause it received from the audience”. 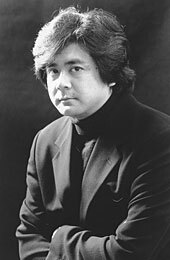 In 1999, Yamada was engaged with Tokyo City Orchestra (TCO) as the Principal Conductor, for whom he has conducted Mozart’s Symphony No.36, Beethoven’s Symphony No.7, Mahler’s Symphony No.5, and Puccini’s Turandot in concert, Mahler’s Symphony No.9, Verdi’s Rigoletto in concert, Berlioz’ Symphony Fantastique, Humperdinck’s Hansel and Gretel, Beethoven’s Symphony No.9, Haydn “Symphony No.99, and Tchaikovsky’s Symphony No. 5.